Accommodations— A five-story boutique hotel has 252 rooms including 16 suites. Hotel rooms were designed to feature Springfield’s history, including historical building facades framing the windows and reflecting surrounding architecture, reclaimed wood tables made from trees on the former Bliss Street in the Garden and Spa Suites, and a customer chandelier made of vintage hats, inspired by Dr. Seuss in the Presidential Suite. The Casino– The 125,000 square foot gaming floor has approximately 2,550 slot machines, 120 gaming tables, a poker room and a high-limit VIP gaming area. Entertainment and Recreation– Multiple shows at the MassMutual Center across from the casino, and other downtown venues such as Symphony Hall and CityStage. Other venues at the casino include: Topgolf Swing Suite, a high-tech immersive golf simulation and lounge; a seven-screen, Regal luxury movie theater inside on the grounds (650 seats), a 10-lane bowling center; a spa; and an 8,000 square foot pool within a terraced rooftop garden. Open-air plaza— the outdoor plaza and public space has created with the historic, restored State Armory building at its center. The marketplace features live events, local artisans, farmer’s markets, and seasonal programming including an outdoor ice rink. Meetings and events— In addition to the MassMutual Center, MGM has approximately 42,500 square feet of space for business and social meetings and events. 3,400 space Parking Garage— free to patrons and the public. Buses— King Ward Coach Lines of Chicopee is the official motor coach provider in Western Massachusetts (including Franklin and Berkshire Counties), central Massachusetts (Worcester), southern Vermont, and Hartford and Middlesex Counties in Connecticut. King Ward service runs Monday through Friday. For a schedule of stops and rates visit kingward.com. More information is available from King Ward Coach Lines 413-593-3939. 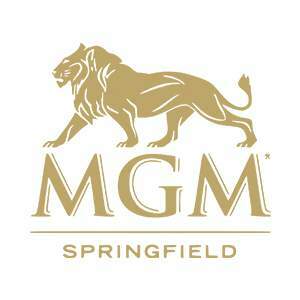 The Loop –MGM and PVTA offer bus service linking the casino, Springfield Union Station attractions like the Springfield Museums, the Springfield Armory National Historic Site and hotels. The Loop will run Wednesdays through Sundays from 10 a.m. to 10 p.m., completing a full circuit in 60 minutes during the day and in 40 minutes at night when the route is truncated because some attractions are closed. Guests can expect to find pieces from sought-after designers such as Tacori, Breitling, Alex and Ani, Pandora and more. Carrying everyday needs including resort logo and fashion apparel for men and women, logo souvenirs, sundries, snacks, alcoholic and non-alcoholic beverages. From Hartford and points south; Take I-91 North to Exit 6. From Boston/Worcester and points east: Take Mass Pike (I-90 West) to I-291 West to I-91 South to Exit 6. From the Berkshires/Albany, New York (and points west), take Mass. Pike east to I-291 West to I-91 South to Exit 6. From Vermont (and points north), take I-91 South to Exit 6. Experience a local music festival unlike any other. The 3rd Annual Springfield Jam Fest is being held on Saturday, September 7th from 12 pm -11 pm, on the Plaza at MGM Springfield. Join us and some of the biggest local bands to help us #RocktheStigma and raise money for NAMI of Western Mass and Nicebox.